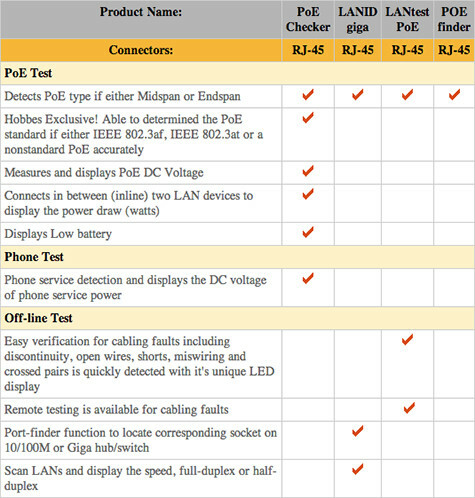 PoE Checker – PoE Tester | Hobbes Innovation Co., Ltd.
Hobbes PoE Checker is a PoE tester that detects the PoE power from Power Sourcing Equipment (PSE) to VoIP phones, IP video surveillance camera and any other Powered Devices (PD). 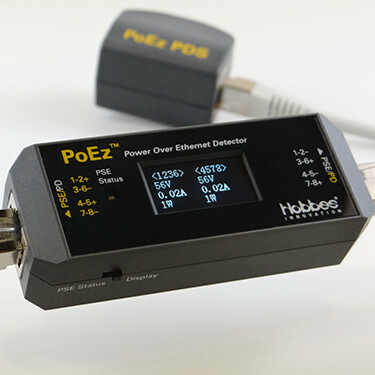 With Hobbes PoE Checker, it shows the PoE type of PSE if it is either Midspan with pair 45–78 or Endspan with pair 12–36 output voltage and its PoE standard (802.3at or af). 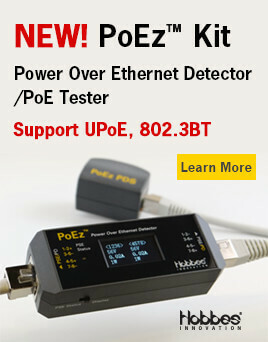 PoE Checker also has the ability to connect between two devices in order to provide Inline Test function. 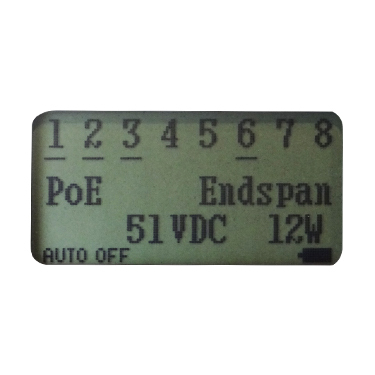 The two sockets on PoE Checker allow the PoE voltage to pass through to the Powered Device to be tested. 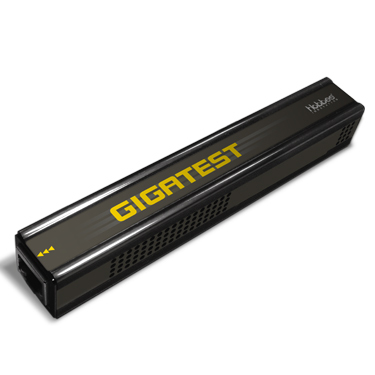 Once placed Inline between two devices, the power draw of a Powered Device can be measured in watts. 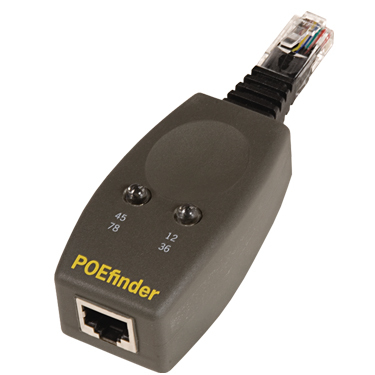 Additionally, PoE Checker is able to detect phone service and show its voltage if it exists in an RJ45 socket. 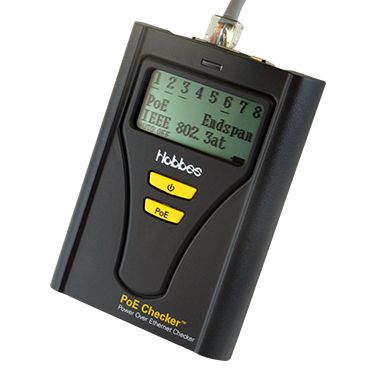 With Hobbes PoE Checker, it can easily determine and detect the power supplied from the PSE in order to prevent exceeding the power for Powered Devices. 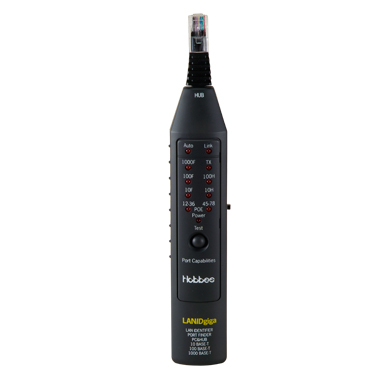 Hobbes PoE Checker is a Power over Ethernet (PoE) tester that detects the PoE power from Power Sourcing Equipment (PSE) to VoIP phones, IP video surveillance camera and any other Powered Devices (PD). 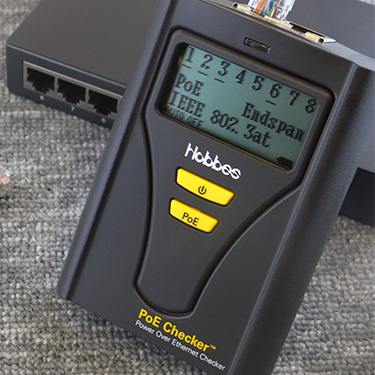 With Hobbes PoE Checker - PoE Tester, it shows the PoE type of PSE if it is either Midspan with pair 45–78 or Endspan with pair 12–36 output voltage and its PoE standard (802.3at or af). 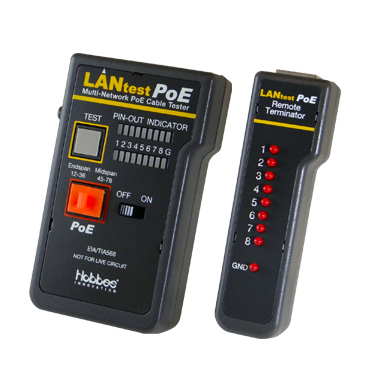 PoE Checker - PoE Tester also has the ability to connect between two devices in order to provide Inline Test function. 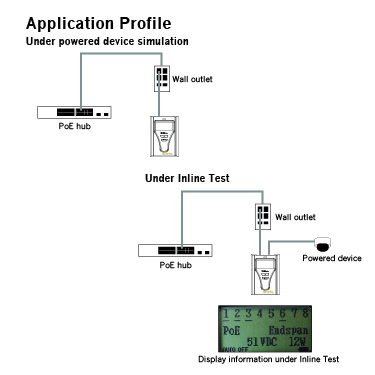 The two sockets on PoE Checker - PoE Tester allow the PoE voltage to pass through to the Powered Device to be tested. Once placed Inline between two devices, the power draw of a Powered Device can be measured in watts. Additionally, PoE Checker - PoE Tester is able to detect phone service and show its voltage if it exists in an RJ45 socket. 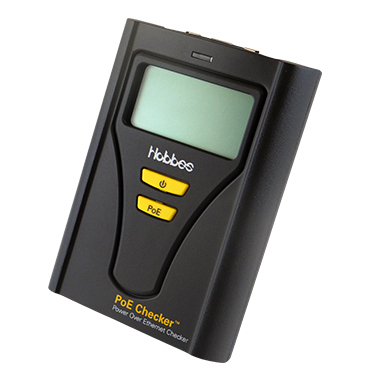 With Hobbes PoE Checker - PoE Tester, it can easily determine and detect the power supplied from the PSE in order to prevent exceeding the power for Powered Devices.